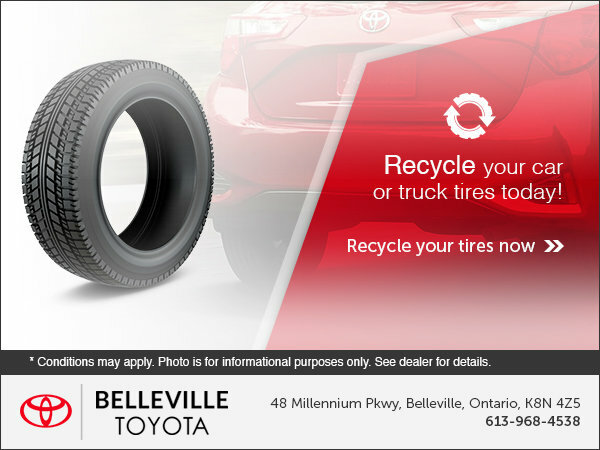 Belleville Toyota cares about the environment. Recycle your car or truck tires today! *Conditions may apply. Photo is for informational purposes only. See dealer for details.